The campaign promotes safer cycling for existing cyclists in Warrington, and aims to encourage more people to travel by bicycle in the town. Eye Books has taken inspiration from our Facility of the Month to create a hardback book showing 50 more of the worst cycle lanes in Britain. 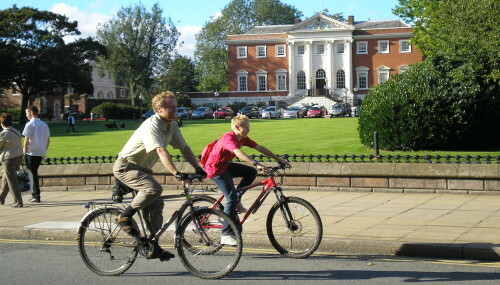 A Guide to Cycling in Warrington has been compiled by Warrington Cycle Forum in conjunction with the Warrington Cycle Campaign and the Council. Now available from Libraries, Leisure Centres and Contact Warrington. Warrington Cycle Campaign is committed to making better use of the roads for all sectors of the community. To join the cycle camaign contact our membership secretary Maurice Leslie for further details.